Welcome to Highland Community College Viticulture & Enology Blog! 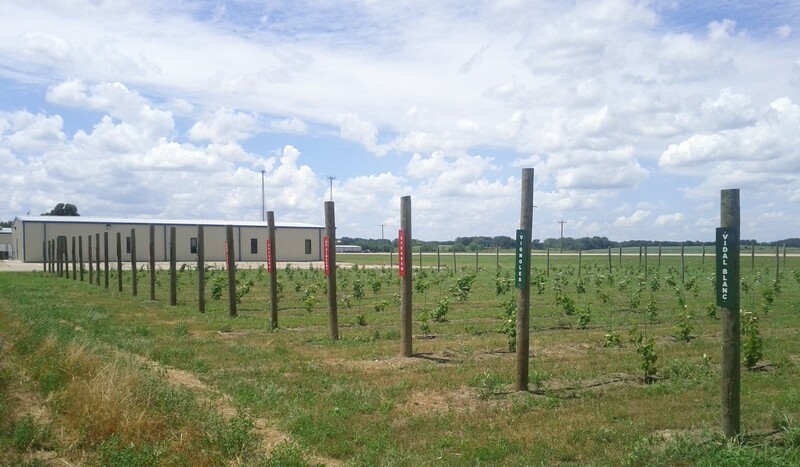 The HCC Research Vineyard is located on the Wamego Campus of Highland Community College, in Wamego, KS. The vineyard was planted in April 2013 and consists of 44 varietals of vines. Twelve vines of each varietal were planted in the vineyard. Six varietals are table grapes (t): Concord, Jupiter, Mars, Neptune, Suffolk Red, and Vanessa. Six are vitis Vinifera (v): Cabernet Franc, Chardonnay, Gruner Veltliner, Lemberger, Riesling, and Zweigelt. Six were selected specifically based on their Minnesota breeding program lineage: Edelweiss, Frontenac, Frontenac Gris, Lacrescent, Lacrosse, Marquette. 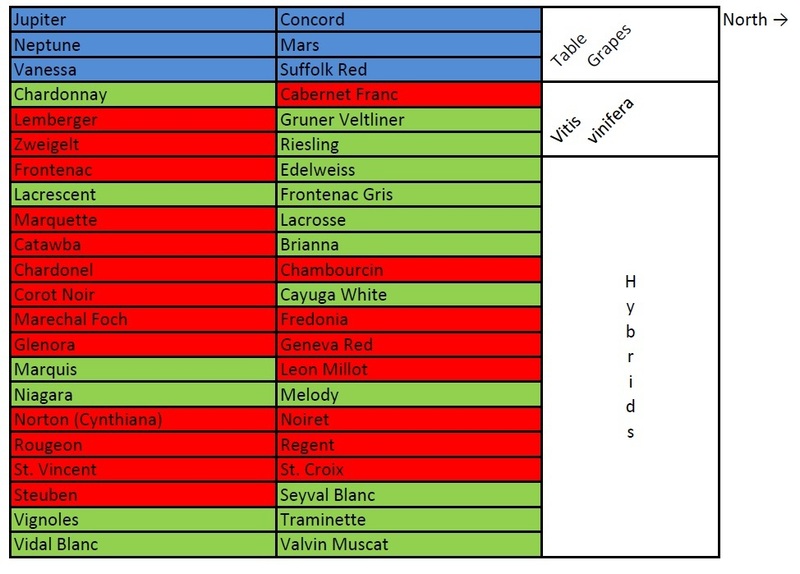 The remaining 26 varietals are various hybrids. Some are common in Kansas and/or the Midwest, and some are not as common: Brianna, Catawba, Chardonel, Chambourcin, Corot Noir, Cayuga White, Marechal Foch, Fredonia, Glenora, Geneva Red (GR-7), Marquis, Leon Millot, Niagara, Melody, Norton (Cynthiana), Noiret, Rougeon, Regent, St. Vincent, St. Croix, Steuben, Seyval Blanc, Vignoles, Traminette, Vidal Blanc, and Valvin Muscat. Scott Kohl grew up on a wheat and cattle farm 25 miles northwest of Hays, KS. He has a B.S. in Mathematics from Fort Hays State University and an M.S. in Theoretical Mathematics from Kansas State University. Scott got involved in viticulture and enology as the Wamego Campus Director for Highland Community College in 2008. As the program continued to grow he shifted his duties exclusively to HCC V&E in January 2011. Scott is not “classically trained” as a viticulturist, but he has been in the field watching and learning over the years. He is offering his observations from the research vineyard as both a way to inform the Kansas industry of what is happening at HCC as well as to further his own understanding of viticulture.